I’m such a sucker for a scented candle – I have them in almost every room of the house and constantly top up my stash with more. I think they’re just the nicest way to scent your entire home. Which makes Christmas even more exciting because there’s so many new ones to discover and treat myself to, as well as buy for other people as a gift. 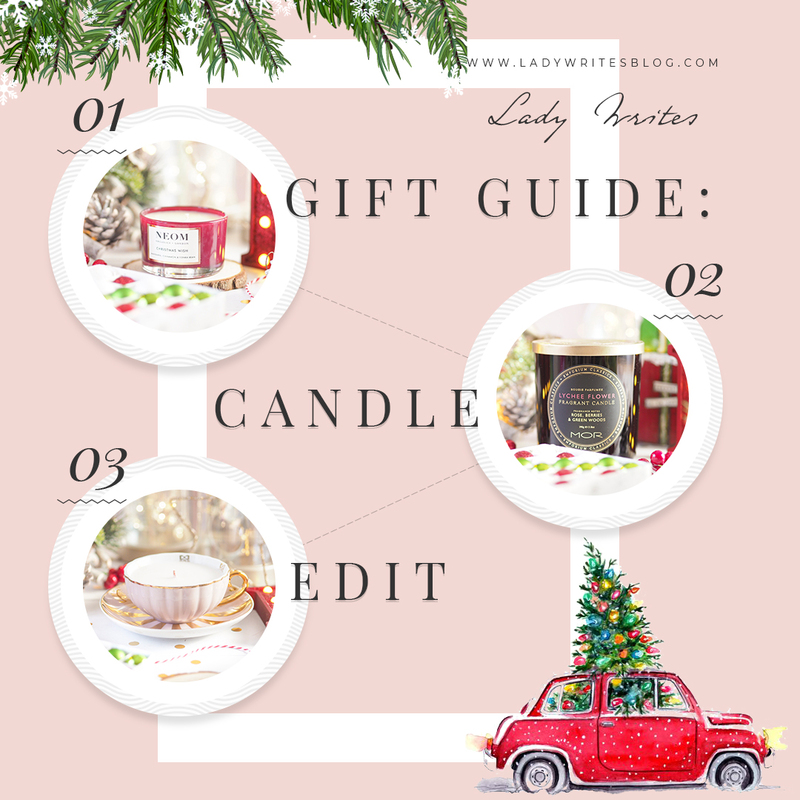 So that said, I’ve collated my top Gift Guide for scented candles, and trust me, there’s some seriously impressive ones! 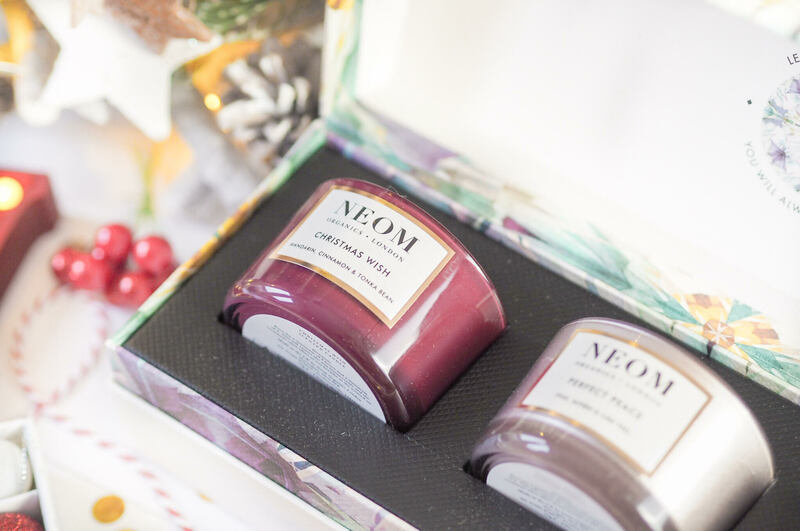 When it comes to candles with a designer edge, Neom get it right every time. I have been in love with their candles since trying one recently and their beautiful scent blend with an almost aromatherapy-like edge makes them beautiful to relax with. I find their Christmas candles to be perfect for this time of year – but that makes them hard to choose between! So for my Neom recommendation I advise on the Scents of Wellbeing Trio because you get their top 3 Christmas scents in one set. Included is the Christmas Wish, Perfect Peace & Precious Moment candles. (Precious moment is one I reviewed in full here.) And they all have orange, cinnamon and festive notes to make them perfect for getting your home ready for Christmas Day. 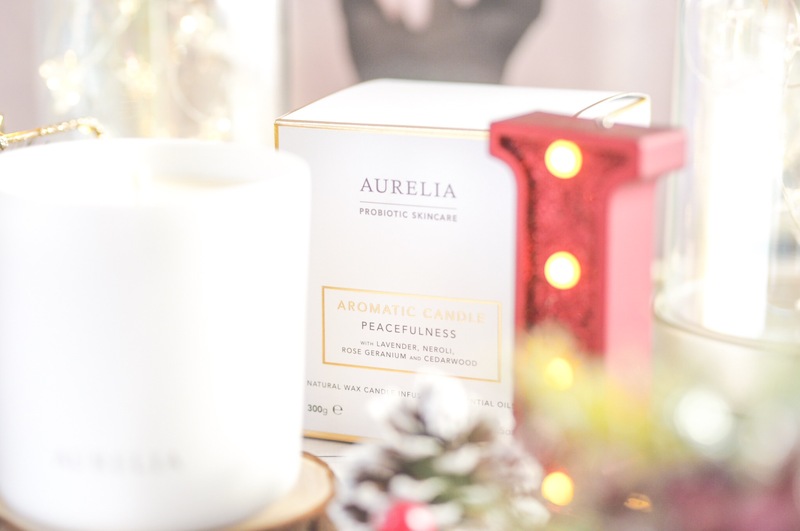 I’m a big fan of the Aurelia Probiotic Skincare brand and was so excited to discover their candle collection. 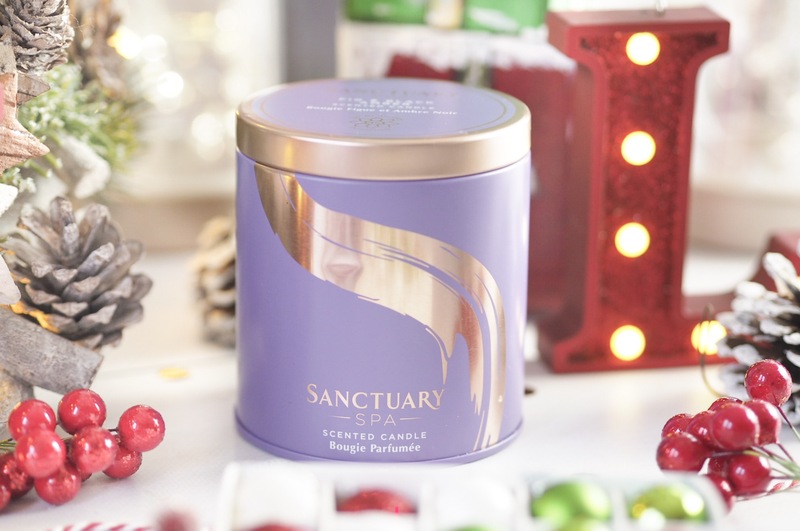 For Christmas they have the perfect Peacefulness candle which smells absolutely divine. It’s soft and gentle so it doesn’t overwhelm you and gradually it fills the house. I find it such a welcoming and warm scent too, and others have commented on it when it’s been burning. The scent itself is infused into the natural wax and each variation in the range is designed to encourage a specific state of mind – for example peace, with this one. So it’s much more than a candle as a gift. This one is my favourite because it’s sweet and delicate and I can’t imagine there’s anyone who wouldn’t enjoy this. They also have a lovely Clarity of Thought Candle which I also recommend as a great gift. 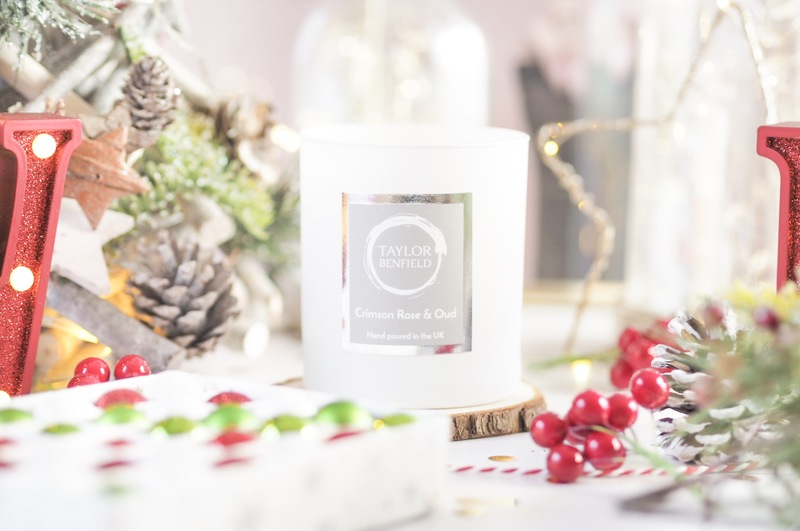 All Taylor Benfield candles are created to be reminiscent of a destination – whether that be a far flung holiday location or somewhere closer to home, their range is unique in offering candles to remind you of certain places. I recommend the Crimson Rose & Oud Candle, which was inspired by Marrakech, Bali and Vietnam and retains a heady and sensual element within it’s base note of amber, oud and patchouli. With that, the head notes of clove, cinnamon and orange shine through and create an edge that makes me thinks of foreign market places teaming with spices and scents filling the air. It’s a warm and lovely scent and would make such a lovely gift for those who appreciate memory scents. 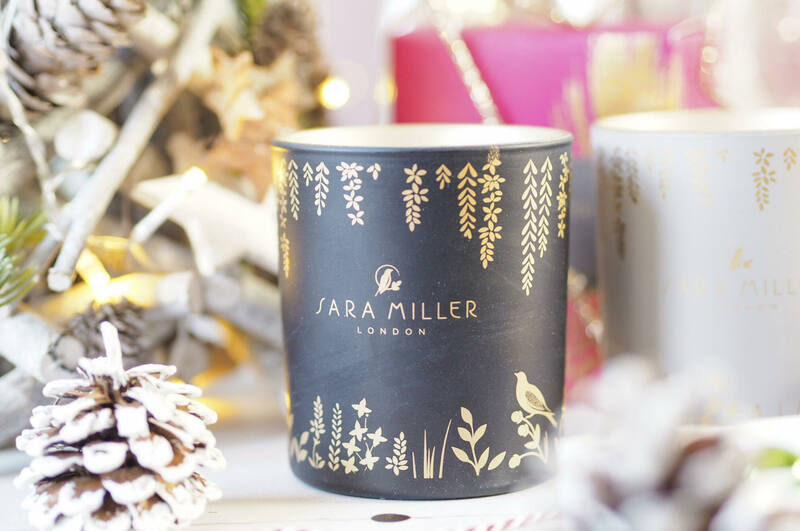 I fell in love with the Sara Miller candles as soon as I saw them – the packaging is just divine and gives such an artisan feel that it really stood out to me. What’s more is that the scents are truly unique and unlike so many others. They stand out too, so they make great gifts in my opinion. I have the Sandalwood, Cardamon and Oud version which is musky and sensual – almost romantic in scent. It comes in a gold line container so it looks every bit as special as it’s scent. I also highly recommend the Amber, Orchid & Lotus Blossom version for a more fruity and oriental twist, but still with a trademark musk making it oh-so feminine and sensual. Sometimes a candle takes me by surprise and this one did for me. I love lychee as a flavour and a scent, so I’d picked this one online and half expected to really like it…but when it arrived, I loved it. 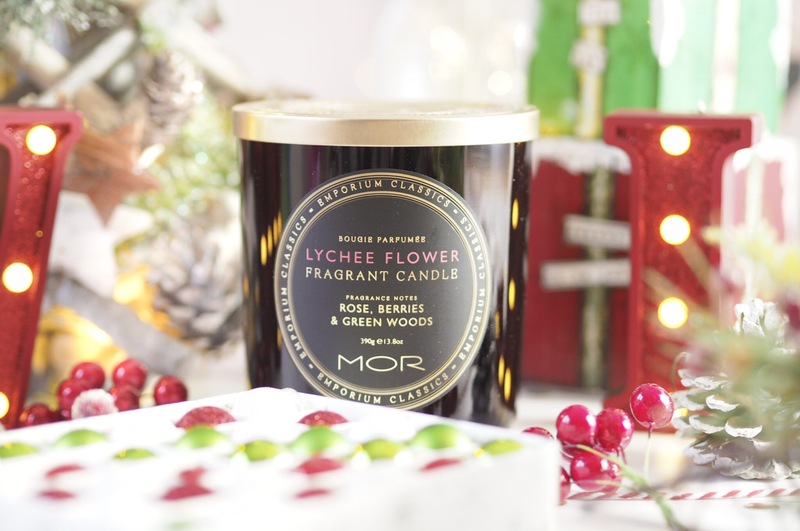 The MOR Emporium Classics Lychee Flower Candle is fruity and delicate with an exotic edge. But there’s also a woody base note that makes it sultry and musky too. It’s romantic and feminine all in one – unlike any other scent I’ve come across. Plus it has gorgeous black soy wax too, so it embodies elegance and sophistication. Oh and it’s absolutely massive too so great value for money! Smells amazing, looks great and fab value – what more could you want? I was wary of this candle as I’m not big on orange as a scent (I don’t like the taste of it either really) but it really impressed me when I tried it. 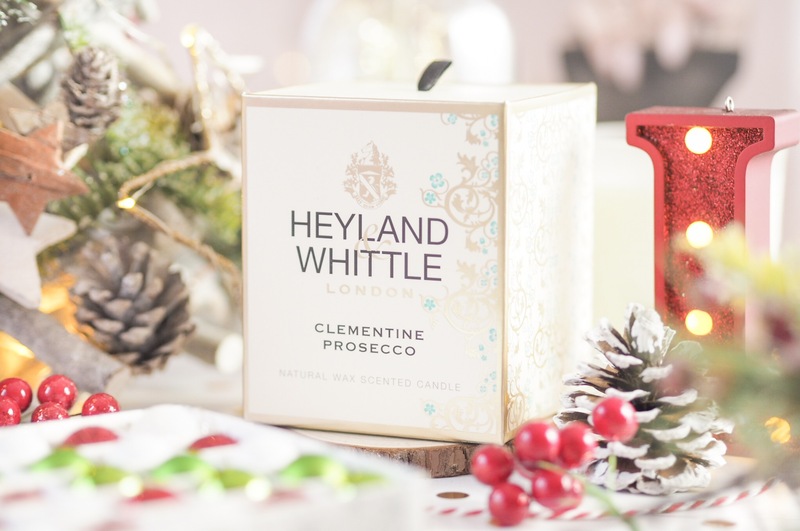 The Heyland & Whittle Clementine & Prosecco Candle is the most gorgeous scent with a zesty edge that lends itself to Christmas themes perfectly. It’s not too zesty or citrus-heavy, but has a gentle and soft base too, so it’s not too in-your-face. I find this is a lovely one to burn during the day as it’s refreshing in a sweet way and smells lovely around the home. Plus the packaging and glass holder are lovely too. A great value scented candle for this Christmas would have to be the range from Best Kept Secrets. 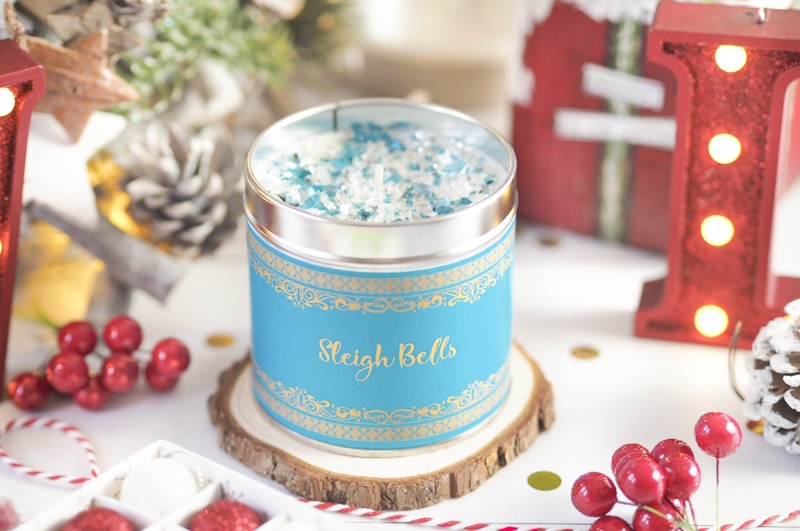 They have 12 scents available and I recommend all of them, but a favourite would be Sleigh Bells because it perfectly embodies Christmas – zesty orange and clementines. 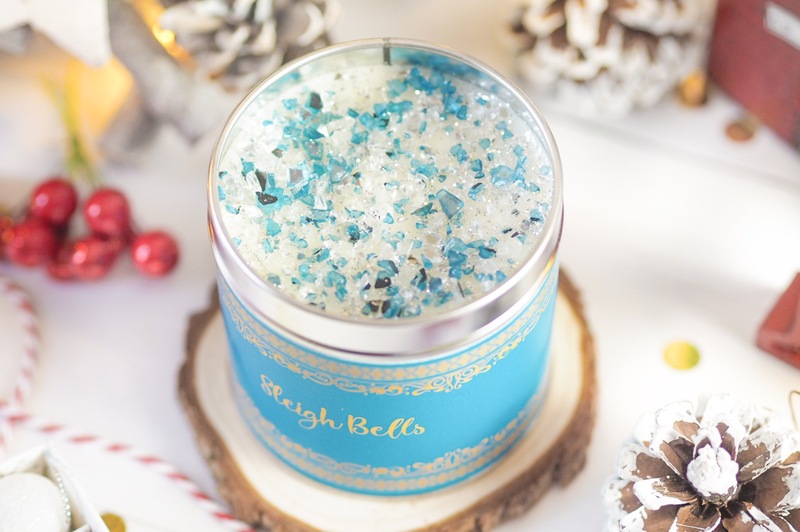 These candles come in a little travel tin and the tops are decorated with beautiful glittery gems so it looks absolutely gorgeous while also smelling yummy. 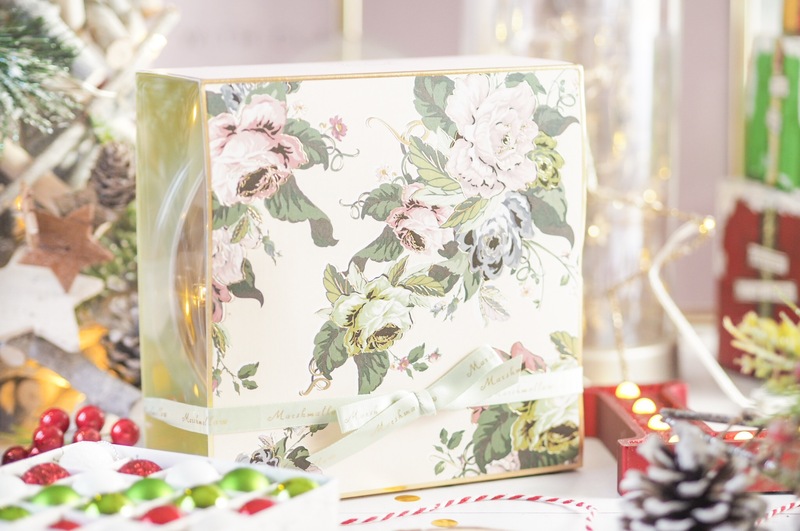 Because of the fabulous price-point these make excellent gifts and stocking fillers – and no doubt you’ll want to pick some up for yourself too! I knew just from the name that I’d love this candle – and I did. It’s absolutely beautiful and perfect for any type of scent lover. 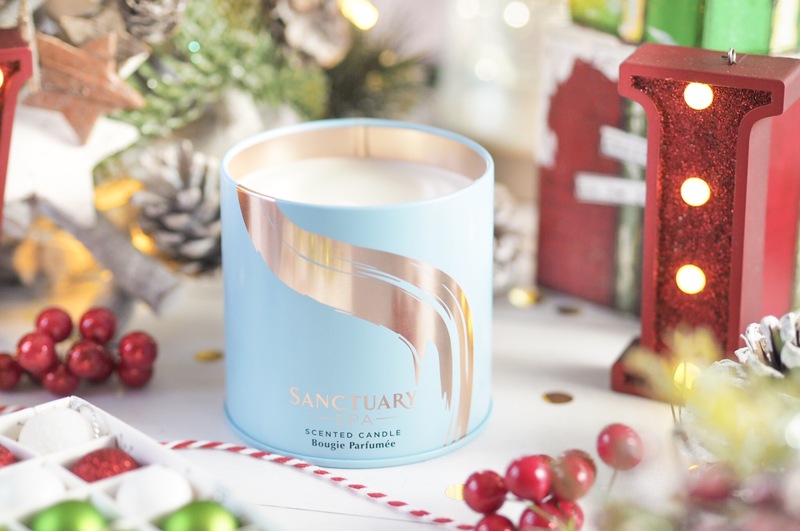 The Sanctuary Spa Driftwood & Sea Spray Candle perfectly captures the essence of walking along the beach during a cold day – sea salt spray in the air, sand underfoot and driftwood washed up. It’s light but emotive and really refreshing. Plus the fact that it’s only £12 makes it even more appealing! I also recommend the Fig & Black Amber Candle because it’s got a gorgeous musk level thanks to the patchouli, jasmine and amber. It’s absolutely perfect for wintery evenings at home with a fluffy blanket. 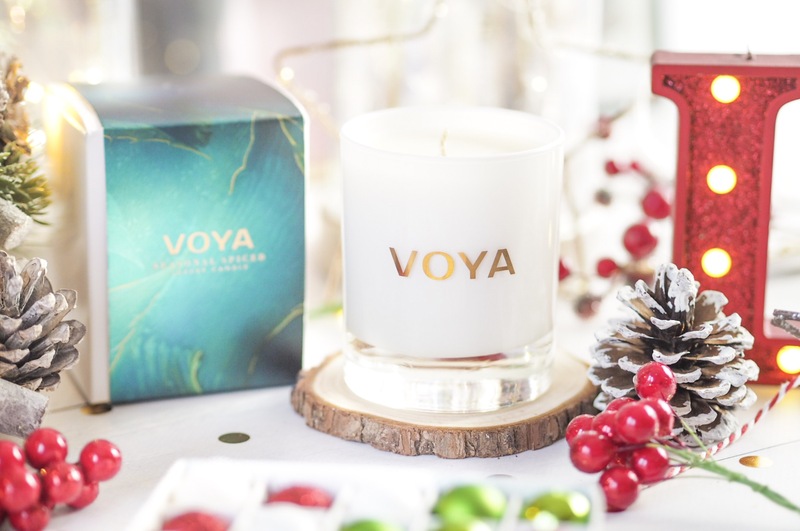 Another great seasonal scented candle is from Voya, who has the most deliciously Christmassy scented candle with crisp orange notes and cinnamon to make it fruity and sweet and then some sultry deep woody undertones so it lingers in the air. We had this out while putting up our Christmas tree and it just put us in the most perfect festive spirit. I find the throw (the way the scent spreads from a candle) is really nice and even, and it fills the whole house in no time. 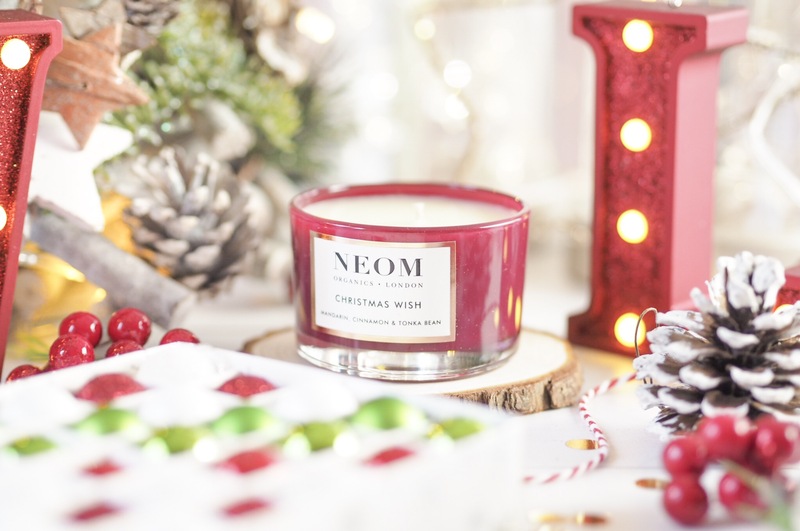 I feel like Mrs Claus when I have this one burning – great for those who love their winter candles to smell of all things Christmas. 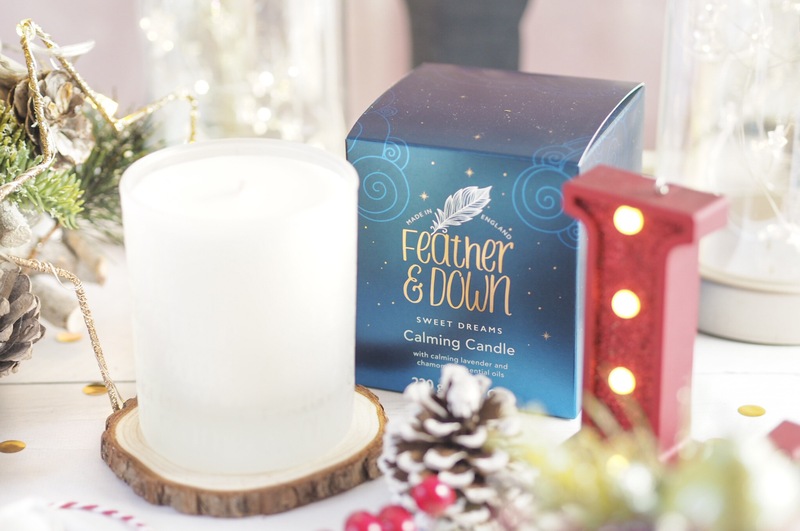 This one is great for those who struggle with sleeping as the Feather & Down Calming Candle is designed to help encourage a more relaxed state before you go to bed. Burning this will ensure you feel as chilled out and restful as possible and should therefore help to encourage you to sleep better through the night. Great for those who also lead busy or stressful lives and it smells really relaxing – I can confirm first-hand! The essential oils within burn perfectly to create a calming ambiance to your home – and it’s a great price for a candle with approx 40 hours of scent time. 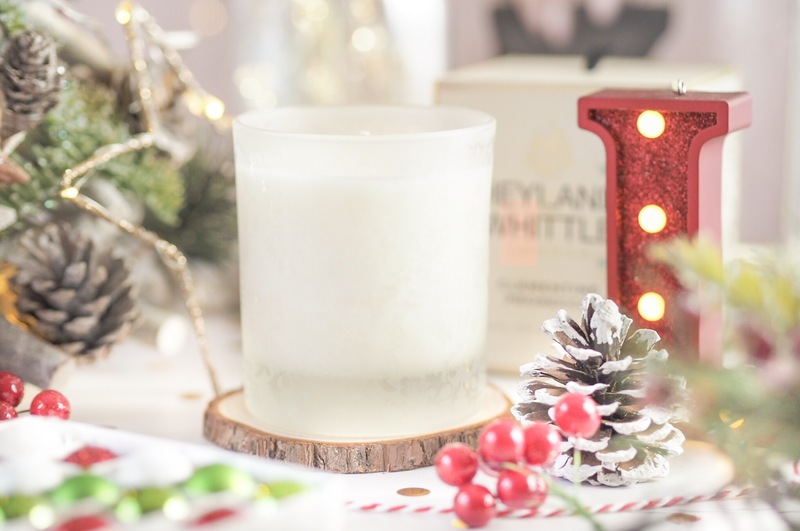 I couldn’t not feature this beautiful candle on my gift guide because…LOOK AT IT! It’s so cute…IT’S A CANDLE IN A TEA CUP! I love how unique that is, but more than a pretty display candle, it smells beautiful too. 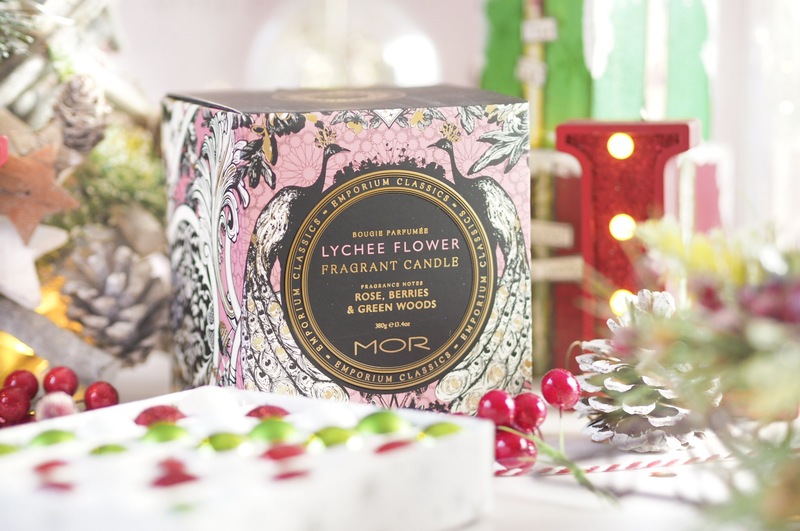 The MOR Teacup Candle is a soy blend candle wax that’s infused with marshmallow, candy floss and vanilla musk – it’s absolutely beautiful and so feminine and girly. I can guarantee all the girlie girls everywhere will love this scent. I want to bottle it as a perfume because it’s so yummy. 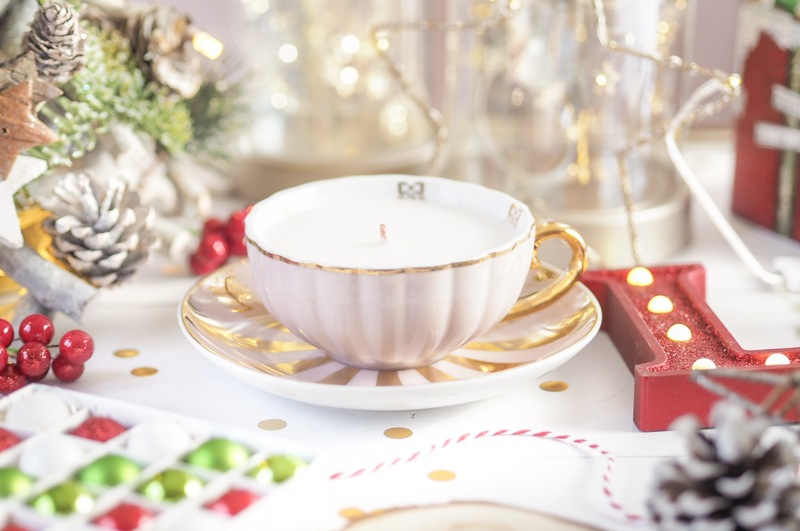 Both tea lovers and candle lovers alike will enjoy this because when the candle is finished you get the gorgeous tea cup! 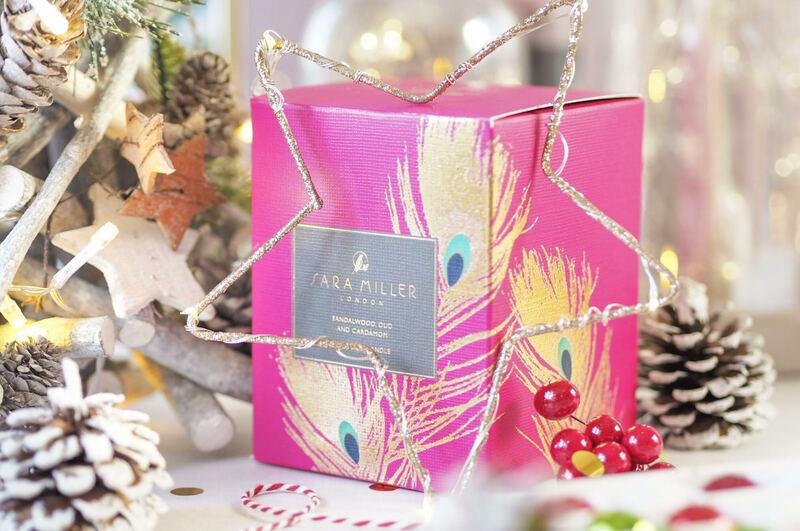 So there you have it – my top candle picks for Christmas this year – aren’t there some gorgeous ones here?! Which ones take your fancy? I need to have those Neom candles immediately!! HELL YES! I will have one of each! I LOVE candles… so so much. 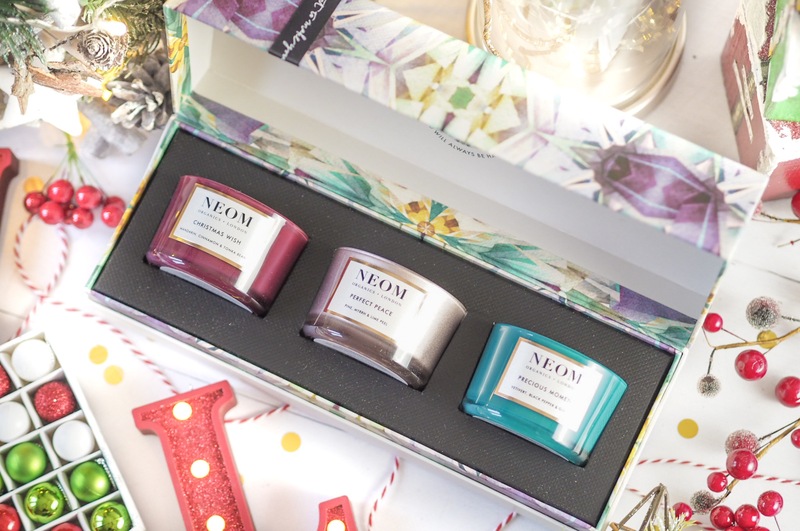 The Neom ones look amazing! This is my kind of gift guide! I want them all! Oh my gosh that Sleigh Bells candle is gorgeous! The Neom candles sound amazing. I really need to try them. 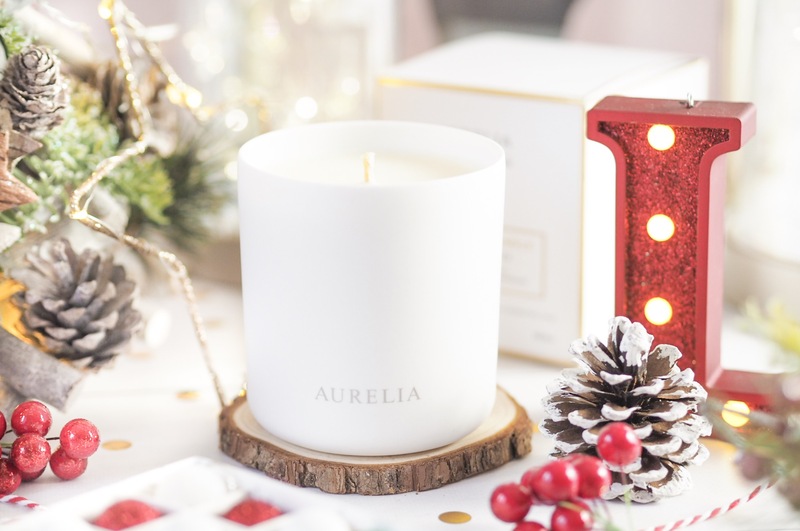 how gorgeous is the Aurelia packaging? !